SDA is the Best Supplier for Wholesale Denture Care Needs. Doesn’t everyone want a beautiful smile, with that fresh and clean feeling? Well, whether you choose Polident or Efferdent denture cleansers, you will get that desired result! When you have dentures, a constant problem everyone tries to avoid is bacteria and plaque buildup. 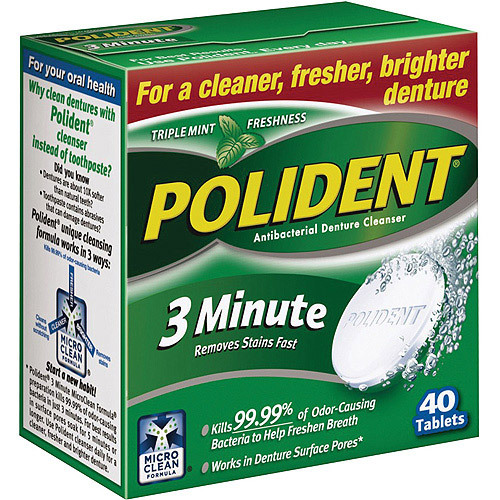 An impossible task without the help of these unique products, Polident’s “Micro-clean” formula kills odor-causing bacteria, while gently cleaning your dentures. 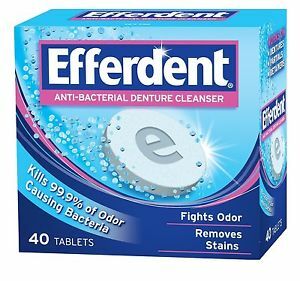 Efferdent, with its powerful effervescent cleaning action, works magic improving your healthy look, and giving you that perfect smile. Daily maintenance of your dentures with these products is a key contributor to your oral health. Now, just as important as looking good, is feeling confident that your dentures will stay in, and not fall out. How embarrassing would it be for your dentures to fall out while eating? Also, how annoying is it when food gets stuck in between your gums and dentures? Well, Supermarket Distributors of America carries the top selling adhesives that solve this problem. Fixodent and Super Poligrip are the best options to keep your dentures in place firmly. 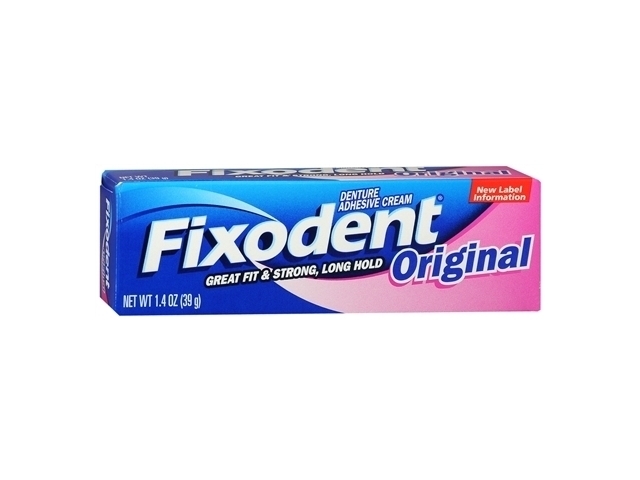 Fixodent and Super Poligrip have been clinically shown to seal out most food particles, eliminating painful irritation in your mouth and gums. The comfort and satisfaction is increased, and the stability and bite force of your dentures is dramatically improved. 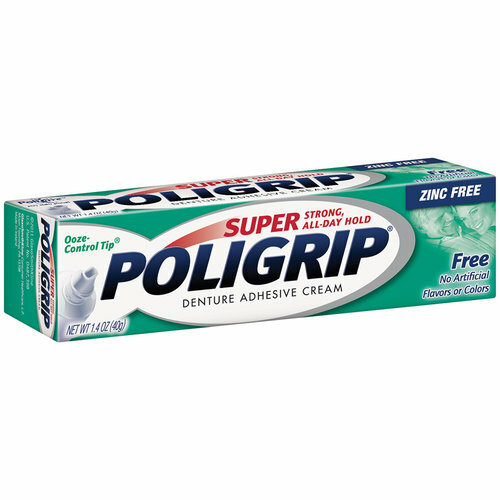 Fixodent uses a small amount of Zinc in its formulation, while Super Poligrip does not. Depending on your daily zinc intake, choose which adhesive is best for you. Using these products will offer many denture benefits, and all your customers will do is smile.